Growing up as a child I have had to overcome many obstacles to get to where I am today. There were some teachers who thought because of my social skills and academic challenges that I couldn’t succeed in the regular high school curriculum. Every day I wake up I always feel that I have to earn my keep and prove everyone else in my community wrong. There are times I feel I have to be perfect at everything and that there is no room for error. It’s like living in a world where typical people can make mistakes but people with disabilities can’t. I still face the challenge of “low expectation syndrome” today. In 2005 I went to Job Corps, and in 2007 I got my Medicaid waiver. I had to deal with being told “No,” when I wanted to try something new. People would say, “I am afraid you’ll take two steps backwards”, and “You’re not ready for this”. This can be very difficult to hear when you know that you are capable of living independently just like everyone else without a disability. It is especially hard when you work with people in the disability rights movement who see you as more capable of living independently than your developmental service agency does. The last four years have made me want to strive even higher and become a lobbyist and work on a federal level in Washington D.C. The last four years have made me want to strive even higher and become a lobbyist and work on a federal level in Washington D.C. All of my past experiences as an advocate and as a person with a developmental disability have inspired me to become a bigger change agent at a national level and do what we need to do to make the United States a fully inclusive, free and accessible society for all people with disabilities. Over the past year I have moved into a section 8 apartment as part of my transition to the SUCCEED Program. This was a huge leap for me given that I lived in a developmental home for three and half years. During the transition from Montpelier to Burlington there were people who didn’t want me to move into section 8 because they didn’t think I was ready. They wanted me transition to a group living situation and then to section 8. As a result I had to do some advocating in the beginning with my old provider to get to where I am today. Self-advocacy and self-determination are the keys to making major transitions for people with disabilities. Since 2004, I have had to deal with many negative responses from government and provider agencies when I screw up because of the fact that I have a developmental disability. The medical and moral models of disability need to end. We need to adopt a social justice model where we focus on dignity of risk! It’s the belief that people deserve an equal chance to fail just as they do to succeed. People can learn from failure by not having their life controlled by a provider agency. Now I am taking college courses at the University of Vermont. I have been able to finally achieve my dream of going to college. The first UVM course I took was public speaking and I got a B/85 in it. It felt so wonderful to finally be able to prove to everyone else that I can succeed at a collegiate level! Nichole LeBlanc is a self-advocate and active in the self-advocate community with the organization, Self-Advocates Becoming Empowered. Date posted: April 30, 2012. Content created by Self Advocates Becoming Empowered. Last updated: October 2, 2012. Find similar blog posts posted in: Posts by People on the Spectrum, Posts by Self-Advocates. Find similar content about: Self Advocacy. I have ADD and Bipolar . Reading information on Autism, I think ADD and Bipolar are similar. When I need to take a name, movement is important for me to calm down. I sit in the recliner and rock in order to calm down and relax enough to sleep. I take Trazadone at night and Lomictal in the morning. Could you please comment on tis. Thanks for your story. I really like how you addressed the low expectations for disabled people, how controlling people can be of those with disabilities, and how the medical model fall short. 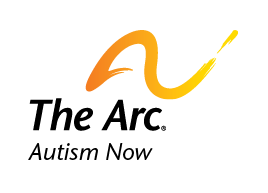 It’s good to see a story focused on broader issues rather than autism demonized and made fully personal, and published by a recognized organization no less. I read about you and the challenges you have had to overcome in your life. How you had to dance to your own tune to get anywhere in life. Congratulations. Please stay strong and Keep moving forward . Best wishes and God Bless. Some of the things I have to say starts with being perfect. I prefer NOT to be a perfectionist freak because to me if I wanted to I would have to strip myself of my own humanity. Now even though I have a dream of a life after autism recovery I would prefer to achieve that dream and my 9 other dreams including independence for myself NOT to please all the ignorant and heartless nts on this planet. Any nt who deny what you deserve because of autism just aren’t capable of walking the autistic mile. Nicole just like you I would love nothing more to go to college to further on public speaking and earn a job. For those who are against recovery because you like thinking differently I understand. Whether this dream comes true or not I will always have respect for autistics from the Morgan twins to temple grandin while always allowing the inner beauty of autism to shine by being authentic understanding truthful interesting sweet and magnificent. Nicole never listen to the ignorants and great story.